Sweet Cheeks Adventures: It's a Party in the Shower... WOW! It's a Party in the Shower... WOW! 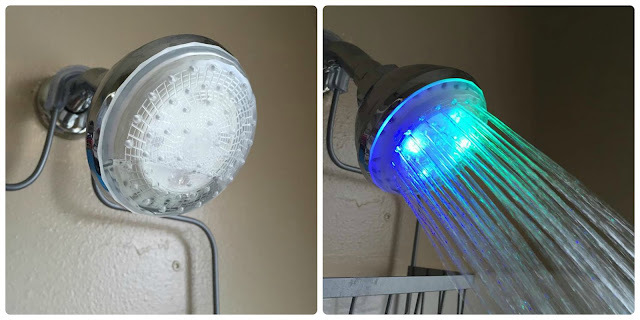 Who knew showering could be so much fun? Fighting these kids to wash their bodies is a nightly chore. I had no idea this would change if I put a little color in there! The Shower WOW helped me win the fight! I've found the perfect way to get my children under the water, washed up and well.... in the shower for a lot longer than before. They don't want to get out now! The water turned cold before Allyson said she was done last night. I'd say that's about an hour. Wowie, that child took a long shower! The Shower WOW is very easy to install. 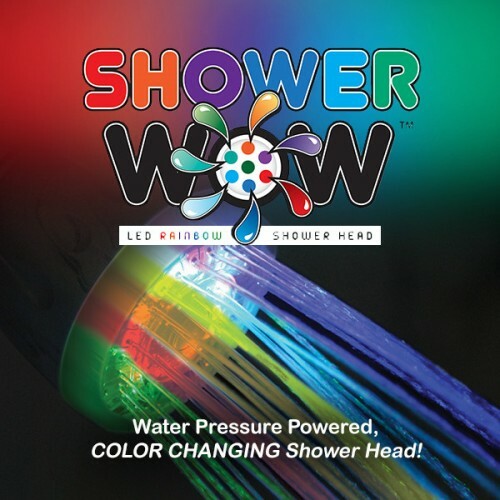 Screw off your old shower head and screw Shower WOW on. There are no batteries required. It is powered by your home's water pressure. I did notice a little bit of a noise when the shower was on. You can hear this thing working! When I asked Allyson what her favorite part of the shower was, she said "when the colors rained down around me." So, there you have it! Want to see it in action? I recorded a little video for you! 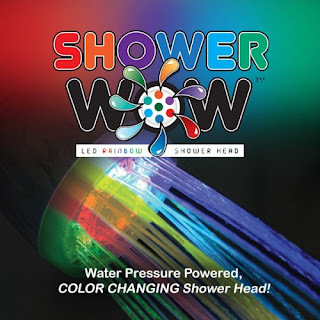 You can pick up the Shower WOW at Walmart, Rite Aid, and Bed Bath and Beyond! It is a lot of fun for all ages. I think my husband secretly loves it too!